A.P. State Council of Higher Education, Hyderabad conducts common entrance tests EAMCET, ICET, ECET, EdCET, LAWCET, PGLCET, PGECET, PECET. Candidates can check the exam date and result declaration date of all the entrance exams by visiting this page. Candidates willing to seek admission in AP Universities are required to appear for the CETs. To know the information in detail regarding each entrance exam, candidates should check their respective pages. It is important for the candidates to meet the eligibility criteria as then only he/she can fill the application form. To know in brief about APSCHE CETs refer to this page. As per the latest press release, the following are dates of CETs in Andhra Pradesh. APSCHE reserves the right to make any changes in the dates if required. Candidates can check ten important dates of all the CETs by referring to the table below. 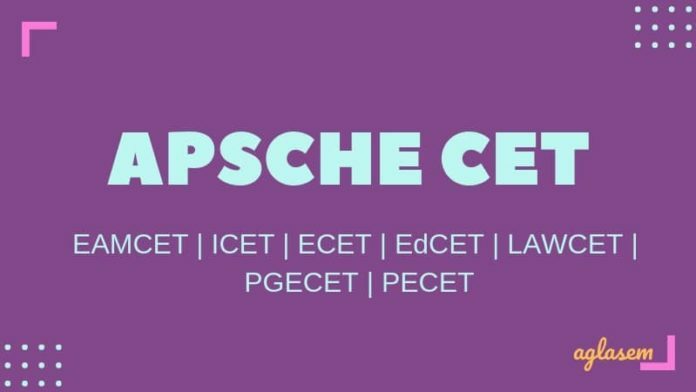 APSCHE CET 2019 Dates as per notification, news reports. Andhra Pradesh Research Common Entrance Test (APRCET) is conducted for the candidates willing to take admission in programs like M.Phill and Ph.D. 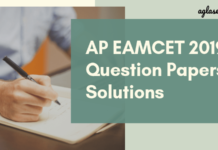 Candidates who have completed their Master’s degree in Science, Arts, Management, Commerce, Law, Pharmacy, and Engineering can fill the application form of APRCET. 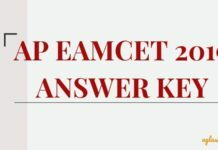 AP EAMCET is conducted by Jawaharlal Nehru Technological University, Kakinada (JNTU). 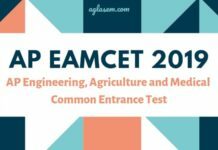 Candidates seeking admission in Engineering, Agriculture, and Medical have to undergo AP EAMCET. It is a national level entrance examination. This exam is for the students to take admission in various undergraduate professional courses available at various Universities/Private colleges in the state of Andhra Pradesh (AP). Sri Venkateswara University conducts AP Integrated Common Entrance Test (AP ICET). This entrance test is for the candidates who want to take admission in MBA and MCA programs. This exam is for the candidates who are seeking admission in post graduation courses. JNTUA, Ananthapuramu conducts Andhra Pradesh Engineering Common Entrance Test (APECET) for students who are Diploma Holders of Engineering Technology/ Pharmacy and B.Sc. Graduates (with Mathematics) for admission through lateral entry at 2nd-year level into B.E / B.Tech / B.Pharmacy courses in AICTE/PCI approved Institutions of Andhra Pradesh. Andhra Pradesh State Council of Higher Education is going to conduct AP Education Common Entrance Test for the candidates seeking admission in Colleges of Education in Andhra Pradesh State. Candidates should go through the eligibility conditions carefully and then proceed to fill the application form. Sri Krishnadevaraya University, Anantapuramu conducts Andhra Pradesh Law Common Entrance Test (LAWCET) for candidates who want to take admission in LLB (3 yrs and 5 yrs). It is a state-level law entrance test. In order to fill the application form, candidates have to visit the official website, sche.ap.gov.in as per the scheduled dates. Andhra Pradesh Post Graduate Law Common Entrance Test is for the students seeking admission in LLM course. Candidates willing to take admission are required to appear for Post Graduate Law Common Entrance Test (PGLCET). In order to clear the exam, general candidates should obtain qualifying marks. There shall be no cut off marks for candidates belonging to reserved category. Andhra University, Visakhapatnam is conducting Andhra Pradesh Post Graduate Engineering Common Entrance Test (AP PGECET). This exam is for the students who want to pursue their post graduation in Engineering, Technology, Pharmacy, and Planning (ME / M.Tech. / M.Pharmacy/ Graduate level Pharm-D (Post Baccalaureate). JNTU Kakinada conducts Post Graduate Engineering Common Admission (AP PGEC) for the candidates who wish to take admission in PG Courses in Engineering, Technology, and Pharmacy (ME / M.Tech / M.Pharmacy). Candidates who have qualified GATE/GPAT are eligible to apply for programs like M.E / M.Tech / M.Pharmacy. Acharya Nagarjuna University, Guntur is going to conduct Andhra Pradesh Physical Education Common Entrance Test (AP PECET) for the students who are willing to take admission in B.P.Ed. (2 Years) and U.G.D.P.Ed (2 Years) programs. In order to take admission in the above-mentioned courses, candidates have to undergo Physical Efficiency Test and Skill Test in Game. To clear the exam, general category candidates must score the qualifying marks i.e. 30% of the aggregate marks. There are no qualifying marks for reserved category.